Want to learn more about underactive thyroid disease, Hypothyroidism or Hashimoto’s? Sign up to The Invisible Hypothyroidism's newsletter. You'll get an easy to digest, relevant round up of thyroid news, advice and support to get you feeling better, once every two weeks. Don’t stay feeling rubbish. Get better. Subscribe now. The past two weeks have been a very busy one for me personally and with my work as well. I spent a long weekend away in the countryside with good friends, good food and lots of walking, cycling and swimming. As I now sit at home, I'm reflecting on how quickly the trip went but also how grateful I am for the opportunity. Not all holidays have to be jam-packed and once my health took a nosedive with the development of a thyroid condition, I soon learnt this. I have to manage my energy usage wisely in order to get the most out of myself when on a trip but also ensure I don't burn out. It comes with practise, that's for sure! See my tips for travelling with hypothyroidism here. My husband and I have been working on my next book, You, Me and Hypothyroidism, a lot the past few weeks and have picked August 1st as our current launch date though hope to get it out to you before that. Being a thyroid patient that advocates for their health isn’t always an easy life. I’ve had people around me doubt why I don’t eat gluten. Judge me for going on a Candida diet. Judge me for self-sourcing my own medication. But they don’t have to live in my shoes. It’s OK to live a life that others don’t get. It’s not for them - it’s for you! And I wanted to reiterate that in this newsletter too. You may be aware that a group of thyroid organisations have been working together on a dossier for the Lord O'Shaughnessy in respect of the harm being done to patients by the NHS England in relation to guidance on liothyronine (T3) medication. Following the publication of the document, the Regional Medicines Optimisation Committee published their own guidance which was felt by all the thyroid patient organisations to not be in line with the NHS England guidance. See the latest update on Thyroid UK's website here. I discovered this thyroid patient blog and wanted to share this post that will resonate with many of you. A snippet: "To the friends and families of someone with Hashimoto’s, be kind and love us. We really are doing our best. When we fail as a wife/husband, mother/father, daughter/son, aunt/uncle, sister/brother, and friend, know that we are not “ourselves.” We are not trying to cause pain to those we love, but simply manage our own pain." 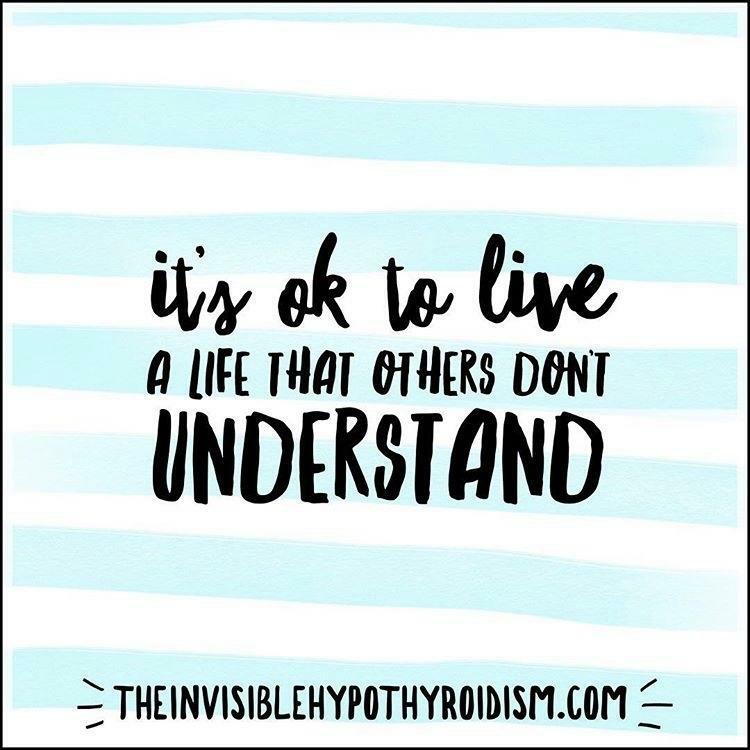 When thyroid patient Kelsey shared her experiences of being a teenager with hypothyroidism on my Instagram page, I knew it would resonate with others. I asked if she would like to guest blog for me and share more about this. I get asked often if I recommend any particular multivitamin for thyroid patients. I always say that as each of us are so different and in fact unique beings, needs differ from person to person and as such, I couldn’t recommend the same one for everyone. However, I do think it is important to demonstrate the options available if you are considering a multivitamin for thyroid health and so I agreed to trial and review ThyroSynergy®. Are Thyroid Patients More Prone to Getting Sick? Does having an underactive thyroid or hypothyroidism reduce your immune function? In other words – do we get sick more easily than others? The importance of TSH is hotly debated among the thyroid community. Here with an alternative view to how many people in this community view TSH, is Dr Brittany Henderson, explaining why she still finds it to be a very useful tool in diagnosing, treating and managing those with thyroid disease. Join me over on Instagram for daily positive, motivational and thought provoking posts and discussions. Also get an idea in to my real life as I bare all about living with my health conditions. There are some things a lot of people don’t realise about me taking days off for autoimmune thyroid disease. As always, you can find my articles, blogs and work on TheInvisibleHypothyroidism.com, with more information in my book. You can also keep in touch via my Facebook page, Instagram, Twitter and Pinterest to ensure you never miss anything. That’s all for this issue but look out for the next one in two weeks’ time. If there’s anything you think I should specifically mention, please let me know. Please Note: None of the statements in this publication should be taken as an official endorsement of any particular product, including sponsored content. I strongly suggest consulting your doctor before making any changes to your lifestyle or health regime. The information included in this publication is not meant to substitute the clinical guidance provided by a healthcare professional. This newsletter may also use affiliate links where I earn a small commission if you purchase through it. This does not change the way I work or the products I link to, and it doesn’t change your user experience.